Spanking Bethie » I’m blaming the vacuum! 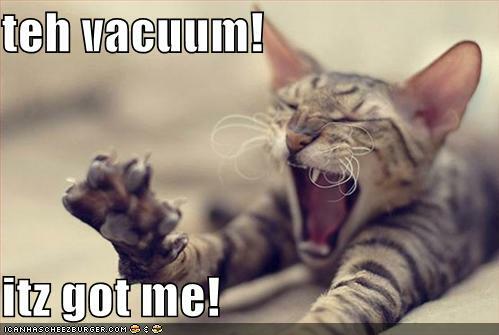 I cannot believe my elbow is still bothering me and I’m blaming the stupid vacuum. If only I hadn’t tried to be such a good *cough* girl and done all the vacuuming that day…*sigh* now my arm is all jacked up and I can barely type. Poor little me. Heh. Okay, back to reality. I’ve had tendinitis before and it didn’t take this long to heal! And if one more person points out that it’s probably because I’m not a kid anymore, I’m going to bite them. Seriously. For now, I’m resting it and treating it as directed, but it means I’m not doing much. I did manage to count up the comments and I have a total of nineteen. A special “Thank you” to everyone who commented! It looks like the belt won, but since I don’t have a belt, I’ll let Dan pick out the leather strap of his choosing. Then we’ll have big fun and I’ll tell you all about it! But not right now, I’m still taking it easy. Why should my bad elbow prevent my spanking? Because it’s really bad. I’m having problems just letting it hang in the sling, it hurts no matter how little I move my arm. It’s ridiculous. I’ll be going to see my doctor in a week and I’m sure he’ll tell me I’m being impatient and I have to let it heal in its own time. Bleh. Dan doesn’t think I’ll be able to get in a comfortable position and not move around too much so spanking is on the back burner for the most part. There are still the occasional surprise spanks, but nothing too exciting. That means I’m getting way behind in my spankings. I think I’m up to three spankings owed now. Geez. How did that happen? I’m such a good girl, it has to be a mistake! Right???? Cat pic courtesy of Icanhascheezburger.com. Sorry to hear about your arm. If it’s any consolation, I haven’t had a good spanking in a while either….womp womp:( What can you do? Wait for everything to get better I guess, so that your strapping young chap (pun intended;) can make things right. I’m sending lots of good vibes your way. Bethie, sorry to hear you’re in so much pain. Wait, let me rephrase that. Sorry to hear you’re in pain but not from a spanking. Better? Hope your arm recovers so your bottom can feel exactly the same way soon.